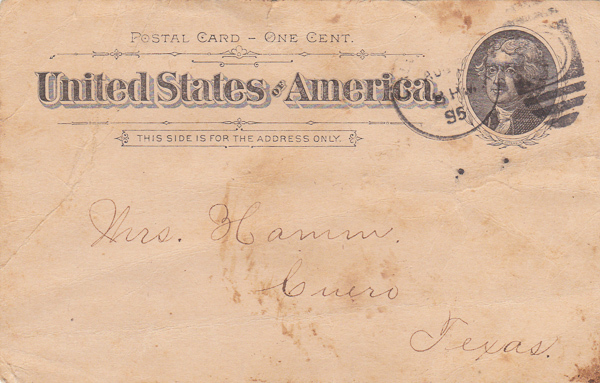 Pappy’s aunt, Hattie Marx, wrote her close friend, Mrs. Susan (?) 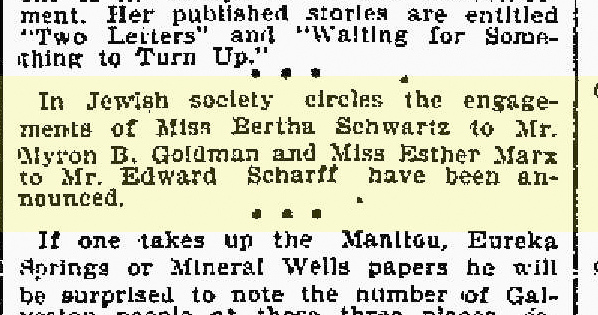 Hamm from Galveston to inform her that hattie’s sister Esther Marx (Pappy’s mother) would become engaged to Eduard Scharff of Jennings, La. Below is a copy of the postcard and the wedding announcement that appeared in the Sunday August 11, 1895 Galveston Daily News. 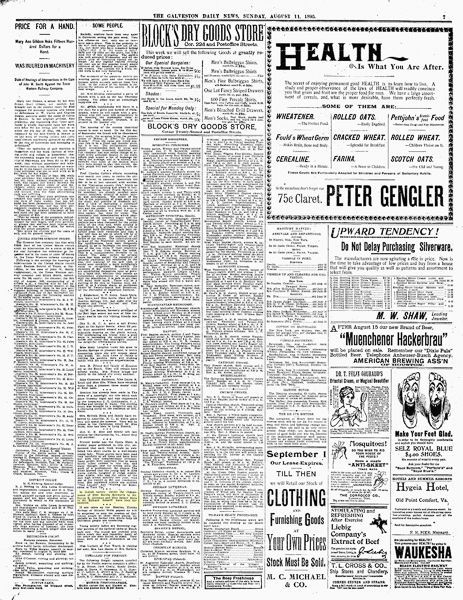 It is thought Mrs. Hamm’s mother, Susan Webber Hamm, was a servant in the Marx household at the time of the 1860 census. 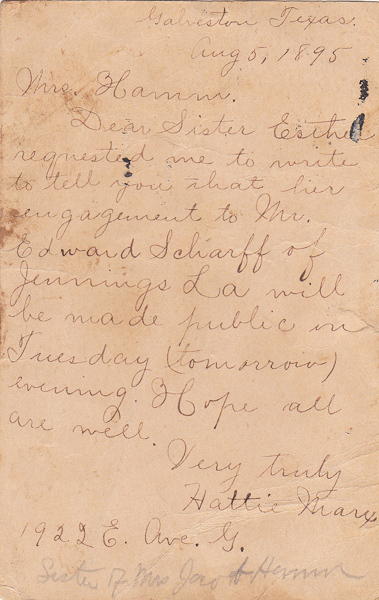 Dear Sister Esther requested me to write to tell you that her engagement to Mr. Edward [sic] Scharff of Jennings, La. will be made public tomorrow (Tuesday) evening. Hope all are well. 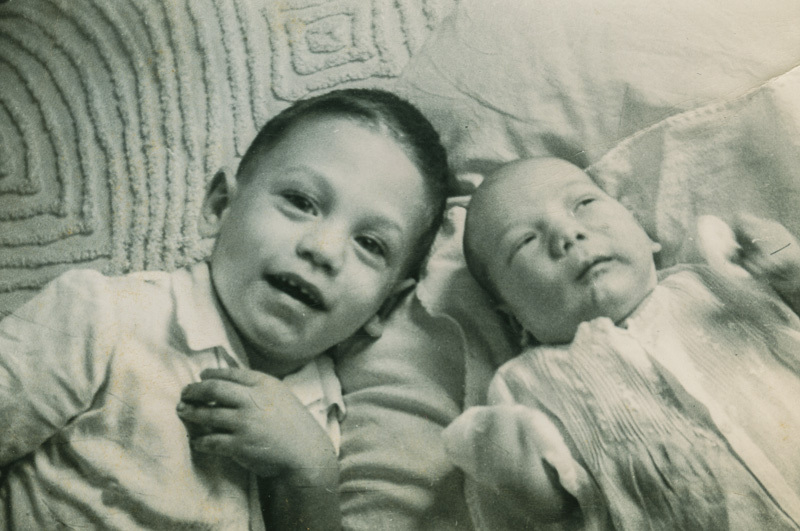 This entry was posted in Uncategorized and tagged Marx, Pappy, Scharff. Bookmark the permalink.